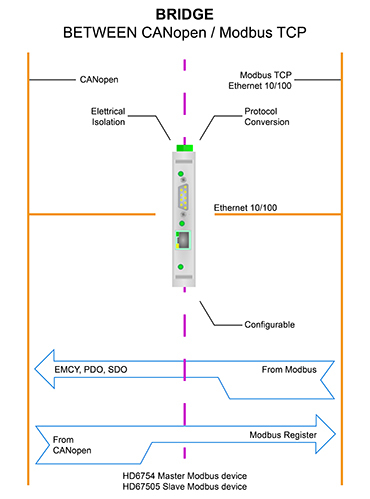 This serie of products allows to integrate a CANopen network with an Ethernet or Modbus TCP net. The HD67503 is a CANopen / Ethernet Converter and it allows you to connect some CANopen devices with an Ethernet net (for example a PC, Supervisory System...) in order to exchange the informations between the networks. 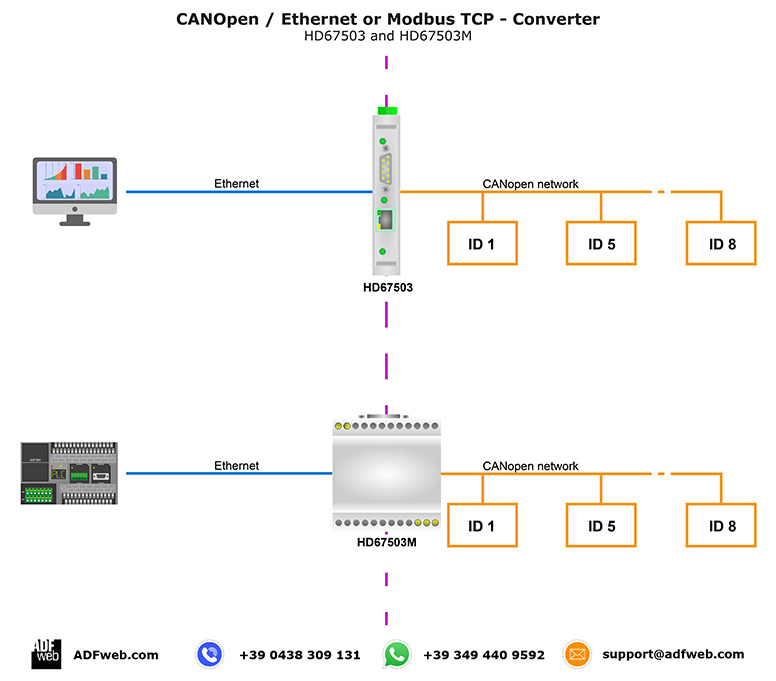 The HD67504 is a CANopen / Modbus TCP Master Converter and it allows you to connect some Modbus Slaves with an existing CANopen network. 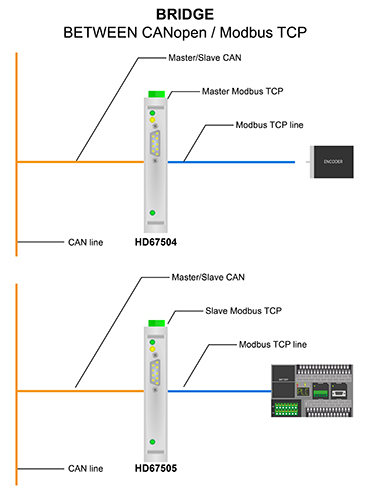 The HD67505 is a CANopen / Modbus TCP Slave Converter and it allows you to connect a CANopen network with a Modbus TCP Master (for example a PLC, SCADA...) in order to exchange the informations between the networks. They are available in two Housing types: Type A and Type B (see "View" below). These converters are contained in a metal housing, so it is STRONG and RESISTANT to the vibrations and shocks. The electrical parts are with triple isolation of 4000 V between CANopen/Ethernet - CANopen/Power Supply - Ethernet/Power Supply. Excellent range of temperature resistance from -40°C to +105°C, features required by AUTOMOTIVE applications.